Our major annual fundraiser and community event, the Expo carnival has been going strong for over 50 years and draws 8,000-10,000 patrons. Vendor tents and sponsorship are available and go fast. Do you like poker, blackjack, craft beer, good food and sports on the big screen TV? Then our annual Poker tournament is for you! Have a great time, support a good cause and take a shot at the big prizes! Bridges, is a nonprofit organization that delivers bag lunches to the homeless in Newark, Irvington and New York City. 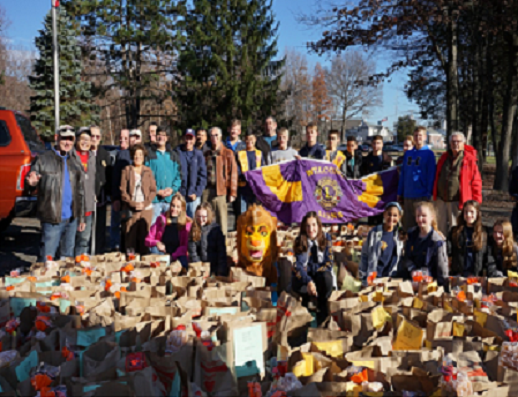 An annual giving tradition, the Warren Lions, with assistance from our Leos club, purchase, assemble and distribute approximately 200-300 full Thanksgiving meals a year to surrounding foodbanks and needy families. This has proven to be one of the members’ favorite events during the year. The Warren Lions Club is approximately 60 members strong and a member of the Lions International community. Lions Clubs International is the world's largest service club organization. We are just one of more than 45,000 clubs, in more than 206 countries and geographic areas, and with 1.35 million members. The name Lions stands not only for fraternity, good fellowship, strength of character and purpose, but above all, its combination of L-I-O-N-S heralds to the country the true meaning of citizenship: LIBERTY, INTELLIGENCE, OUR NATION'S SAFETY. The Warren Township Lions Club was charted in 1948 by local dedicated community members who shared a core belief: to serve their community. While our core service mission is to prevent blindness and improve vision, we also look to better our local community and assist in a broad range of humanitarian needs. 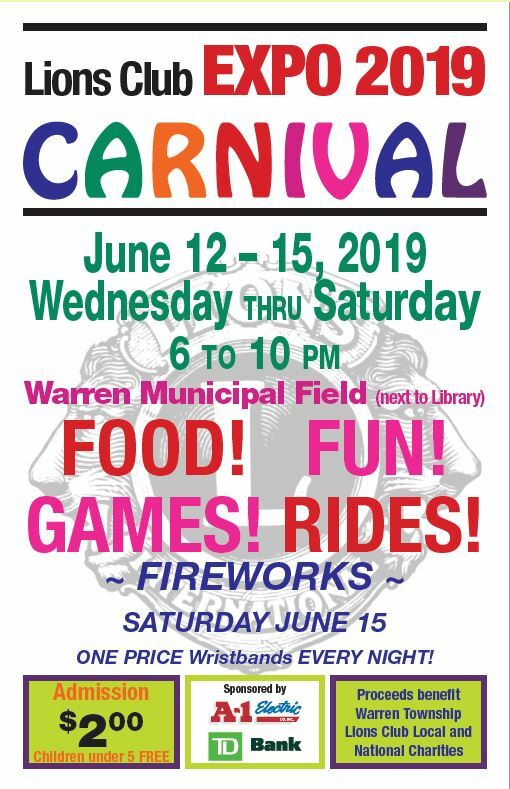 The Warren Lions Club donates to over 35 charities and needs-based projects each year; we support the hungry, local children and schools, cancer research, seniors, the physically disadvantaged, our Armed Services, and much more. We hold an Annual Thanksgiving Food Drive, collect and distribute used eyeglasses and hearing aids, and award several merit and need-based scholarships to students in our community. Our efforts would not be possible without the community’s support and attendance at EXPO every June, as well as our first inaugural Poker Event held this past March. We look forward to your continued attendance at these events, and always seek out new members! Please look at Our Projects and Service pages to see how we fundraise and serve our community through action and some of the organizations and causes we support.